The kettlebell is one of the most versatile strength training tools for all-around athletic development. Kettlebell exercises utilize the entire body for virtually every movement pattern, enhancing strength, balance and hand-eye coordination. Kettlebells also strengthens an often overlooked area, the hips. With a well-developed hip drive, athletes can improve any skill that requires power such as running or jumping. 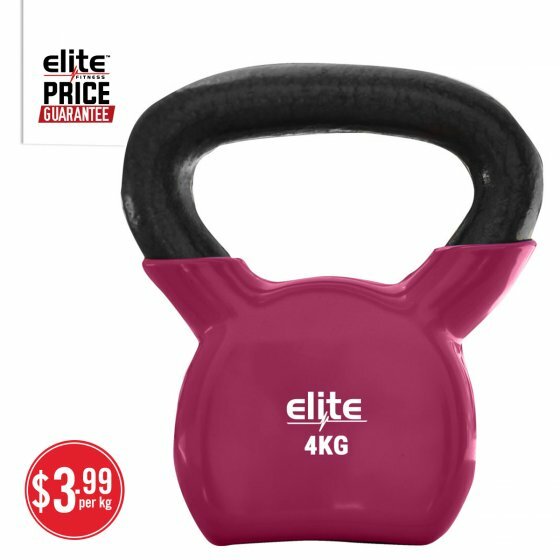 The Arc Bell Vinyl Kettlebell is a great all-around training tool.